A march in Tegucigalpa, the Honduran capital, on the anniversary of Berta Cáceres’s assassination. GUSTAVO CASTRO WAS IN BED, working on his laptop, when he heard a loud noise. It sounded like someone was breaking open the locked kitchen door. From the bedroom across the hall, his friend Berta Cáceres screamed, “Who’s out there?” Before Castro had time to react, a man kicked down his bedroom door and pointed a gun at his face. It was 11:40 P.M. on March 2, 2016. Castro, a Mexican activist who had spent his life involved in a range of social justice campaigns, was in La Esperanza, Honduras, to coordinate a three-day workshop on creating local alternatives to capitalism. Cáceres—one of the most revered environmental, indigenous, and women’s rights leaders in Honduras—had invited Castro to conduct the workshop for members of her organization, the Civic Council of Popular and Indigenous Organizations of Honduras, known by its Spanish acronym, COPINH. When he accepted the invitation to travel to Honduras, Castro knew that it could be dangerous, though he had no idea exactly how grave it would turn out to be. 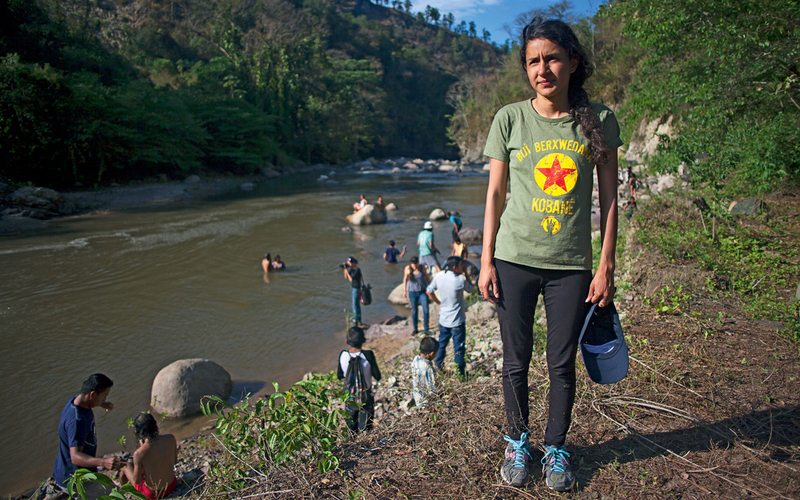 Berta Cáceres Zúñiga (daughter of Berta Cáceres) stands next to the Gualcarque River, which her mother died protecting. In recent years, Honduras had become a global leader on lists having to do with violence: the highest number of homicides per capita, the world’s second-most-murderous city (San Pedro Sula), and the most dangerous place on the planet to be an environmental advocate. As the most prominent spokesperson for a fierce indigenous campaign to stop the construction of a hydroelectric dam on the Gualcarque River, Cáceres was no stranger to threats. The struggle over the proposed Agua Zarca dam had become a major political controversy. On one side were the indigenous Lenca people of COPINH, who had staged road blockades, sabotaged construction equipment, and appealed to international lenders to halt financing for the project. On the other were some of Honduras’s wealthiest families, many of them with close ties to the military. Cáceres’s leadership against the dam had earned her much attention, both positive and negative. In 2015, she received the prestigious Goldman Environmental Prize—and leading up to it, she also had received beatings from security forces and some 30 death threats, and spent a night in jail on fabricated charges. Castro and Cáceres had been friends for more than 15 years and had collaborated on opposing the Free Trade Area of the Americas, open-pit mining, water privatization, and militarization. Castro’s workshop in La Esperanza was focused on developing strategies for moving beyond protest-centered social movements, and Cáceres had been energized by the sessions. That day she left repeated WhatsApp messages for her daughter, Berta Cáceres Zúñiga, who had just left Honduras to resume her graduate studies in Mexico. “She was really happy,” Cáceres Zúñiga said. After the first day’s workshop, Cáceres had invited Castro to spend the night at her home so that he could have a quiet place to work. They arrived sometime around 10:30 P.M. after driving a mile and a half down a lonely dirt road from the center of La Esperanza. Castro remembers commenting on how isolated the property was. “How is it that you live here alone?” he asked Cáceres as they pulled up to the house. The old friends spent some time talking on the front porch, and then each went to their own room. It was nearing midnight when the gunmen forced their way into the house and he heard Cáceres’s screams. “That’s when I realized we were dead,” Castro said. Castro threw himself to the ground and lay still, pretending he was dead. He was bleeding from his ear, which was covered by his thick, curly hair. The gunman turned and walked out of the house. It was two days before Cáceres’s birthday. She would have turned 45. United in its determination to halt the dam, the community of Río Blanco possessed a clear moral and legal stature: International law states that indigenous communities must give prior consent for projects like Agua Zarca, consent that the dam builders had not received. Cáceres brought to the conflict a strategic savvy honed during 20 years of social-change organizing. Her life to that point had prepared her for this very struggle. 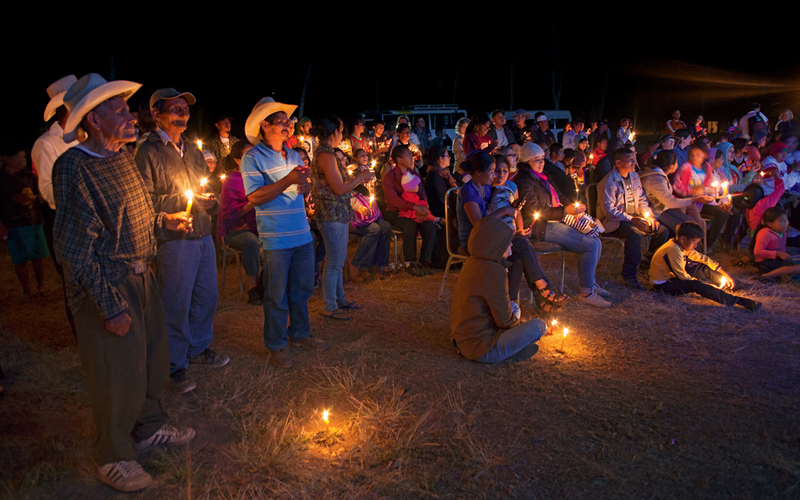 Berta Flores Cáceres was born in La Esperanza in 1971 to a politically active family. Her mother, Austra Bertha Flores López, worked for decades as a midwife, assisting thousands of natural births in the Honduran countryside. She was also—while working full-time and raising 12 children, of whom Berta was the youngest—three times the mayor of La Esperanza, once the governor of the department of Intibucá, and later a member of Honduras’s congress. 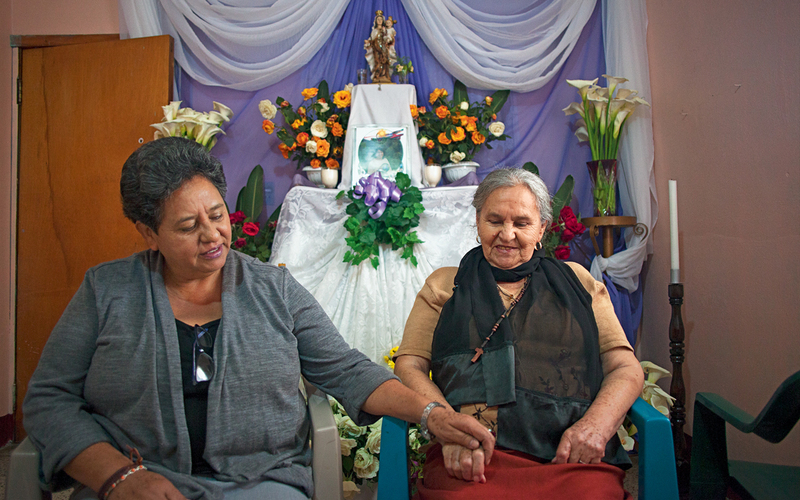 After the war ended, in 1992, Zúñiga and Cáceres returned to Honduras, had their second daughter, Berta, and made a pact to never go to war again. “We understood that war was repugnant,” Zúñiga said. “It was the worst thing that could happen to people.” They committed themselves to “active nonviolence” and together founded COPINH. When Cáceres arrived in Río Blanco in the spring of 2013 to help stop the proposed Agua Zarca dam, she brought with her not only the skills of a seasoned organizer but also a national profile that was essential to elevating the struggle. As the blockade continued, DESA engineers and security personnel repeatedly threatened Río Blanco community members, though Cáceres soon became the focal point for threats and intimidation. DESA charged that the Lenca people—though they were living in their communities and farming their ancestral lands—were trespassing. On several occasions, the police dismantled the COPINH roadblocks, and each time the community put the blockade back in place. In mid-May, the Honduran government deployed the military. Soldiers from the Battalion of Engineers established a base camp inside DESA’s facilities. The close cooperation between the dam builders and the military was part of a larger relationship. DESA’s executives and board of directors come from the Honduran military and banking elite. DESA’s secretary, Roberto Pacheco Reyes, is a former justice minister. The company president, Roberto David Castillo Mejia, is a former military intelligence officer accused of corruption by the Honduran government’s public auditor’s office. The vice president, Jacobo Nicolas Atala Zablah, is a bank owner and a member of one of Honduras’s wealthiest families. Within days of the soldiers’ appearance at the site, someone planted a handgun in Cáceres’s car. She had already been searched at several police checkpoints when a subsequent military search suddenly revealed a firearm in her vehicle. Cáceres was arrested and taken to jail. She was able to post bail, and the gun charges were dropped, but then DESA filed a lawsuit against her for illegally occupying company land, and the Honduran federal prosecutors added sedition charges for good measure. Fearful of being arrested again, Cáceres went underground as her attorney fought the charges. Then the standoff turned deadly. On July 15, 2013, COPINH staged a peaceful protest at the dam company’s office. The demonstration had barely started when soldiers opened fire on the COPINH activists at close range, killing community leader Tomas Garcia and wounding his 17-year-old son, Alan. The military’s attack on unarmed protesters marked a turning point. In August 2013, the giant Chinese dam-construction company Sinohydro pulled out of the project, citing the ongoing community resistance. The International Finance Corporation, a private-sector arm of the World Bank that had been considering investing in the dam, announced that it would not support the project. With funding in jeopardy, work on the dam limped along. The police initially attempted to involve Castro in the murder. They kept him for days without medical attention, interrogating him at the crime scene over and over. After they told him that he was free to return to Mexico, he was nearly arrested at the airport. Fortunately for him, the Mexican ambassador was accompanying him, and she literally wrapped her arms around Castro and declared, “Consular protection,” allowing him to leave the airport, though not the country. After yet more interrogation, Castro was finally able to return to Mexico and reunite with his family almost a month later. Two months after Cáceres’s murder, amid massive national and international outcry, Honduran officials began to make arrests. Analyzing phone records, prosecutors sketched an alleged web of complicity involving eight people: an active military officer, Major Mariano Díaz; two DESA employees, an Agua Zarca manager named Sergio Ramón Rodríguez and Douglas Geovanni Bustillo, an ex-military man who was DESA’s chief of security between 2013 and 2015; two former soldiers, Edilson Atilio Duarte Meza and Henry Javier Hernández Rodríguez; and three civilians with no known connections to DESA or the army, Emerson Eusebio Duarte Meza (Edilson’s brother), Óscar Aroldo Torres Velásquez, and Elvin Heriberto Rápalo Orellana. (According to the Guardian, both Díaz and Geovanni Bustillo received military training in the United States.) Honduran officials charged all eight with murder and attempted murder; all but one of the suspects have denied any involvement with the murder. COPINH and the Cáceres family also complained that the investigation had been compromised by political espionage that appears to have accompanied the police inquiry. The entire case file, for example, was supposedly stolen from the trunk of a judge’s car. 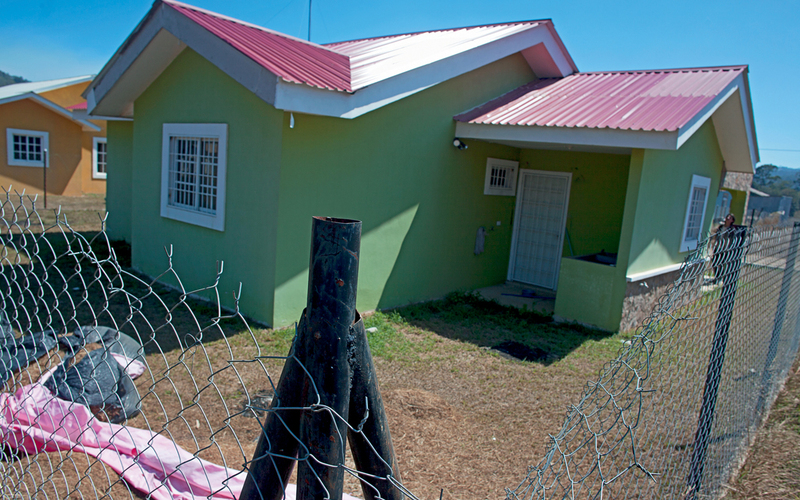 Cáceres’s house was sealed and guarded by police and soldiers for five months after the murder, as the federal prosecutor’s office conducted its investigation. But when federal officials finally allowed Cáceres’s family back into the property, they realized the house had been broken into while under federal control. Police seals on the home and on Cáceres’s possessions inside were broken, and her two computers, three cellphones, and numerous external hard drives and flash drives were missing. “They stole all the information about COPINH that was in the house,” Cáceres Zúñiga said, referring to government officials. Soon after the coup, in 2010, a single act of congress granted 41 concessions for hydroelectric dams on rivers across the country. In April of that year, the Honduran government held an international investment convention called “Honduras Is Open for Business.” The country’s mining regulations were relaxed, and a moratorium on new mines was repealed. According to human rights groups, illegal logging increased in the wake of the coup. At the same time, threats against, and murders of, activists began to climb. Cáceres was a national leader of the resistance movement against the coup. She took to the streets and to the airwaves. She traveled to El Salvador to participate in a protest outside the building where the Organization of American States was meeting to discuss whether to allow Honduras back into the organization. By the time she took the helm of the struggle against the Agua Zarca dam, the coup government had identified her as an adversary. It was in this context that she became the target of a vicious smear campaign apparently orchestrated by DESA and Honduran officials. “There was this constant defamation campaign, especially for her as a woman. She was painted as this vicious, horrible person,” said Gynther, of the School of the Americas Watch. Of the eight people currently under arrest and awaiting trial, only one, Hernández Rodríguez, has given detailed testimony that is admissible in court. Hernández Rodríguez was arrested in January 2017 while working at a barbershop in Reynosa, Mexico, and extradited to Honduras. He had been a Honduran special forces sniper with the rank of sergeant stationed in the Lower Aguán Valley and had served directly under Major Díaz. After he left the military, he went to work as a private security supervisor for a palm oil corporation, Dinant, also in the Lower Aguán (see “No One Investigates Anything Here”). I was able to gain access to an audio recording of Hernández Rodríguez’s testimony. His description of the mechanics of the murder coincides with the physical evidence in Cáceres’s house and with Castro’s eyewitness testimony. While Hernández Rodríguez says that he cooperated with the assassination only under duress and that he didn’t carry a gun the night of the murder, his confession offers some new details. According to Hernández Rodríguez, the murder was planned well in advance: He and Geovanni Bustillo visited La Esperanza in late January and early February. Hernández Rodríguez admits to experience in this kind of political violence: Police have cellphone recordings of him bragging about committing a previous murder and discussing with Díaz what appear to be the logistics for the assassination of Cáceres. And he confirms, using their nicknames, the identities of the men who entered Cáceres’s house and shot Berta and Gustavo: Rápalo Orellana and Torres Velásquez. The long-running campaign against Cáceres—plus the alleged involvement of active and former military officers and DESA employees in the coordination and carrying out of the murder—has fueled suspicions that her murder was ordered by people highly placed in the Honduran government, military, and economic elite. (Honduran officials have denied any state connection to the murder.) But, according to COPINH members and Cáceres’s family, police have not sought to establish who was behind the assassination. The question facing Honduran social movements and the Honduran government is, Will those responsible get away with murder? A YEAR AFTER HER ASSASSINATION, I went to Cáceres’s home with her daughter. The small green house is surrounded by empty fields and a few other new houses and has beautiful views of the nearby mountains. Cáceres had only recently finished making payments on the home, with funds from the Goldman Prize, when she was killed. At the spot where her mother died, Cáceres Zúñiga maintains a thick circle of cypress and guava leaves from her grandmother’s backyard, arranged around a candle on the floor. As Cáceres Zúñiga walked me through the property, explaining her understanding of what happened the night of the murder, she expressed frustration at how her mother has been remembered since the assassination. Too often, she scoffed, Berta Cáceres is reduced to being just an “environmentalist” or “Goldman Prize winner,” when in fact she was much more than that. I heard similar complaints from everyone who knew and loved Cáceres. 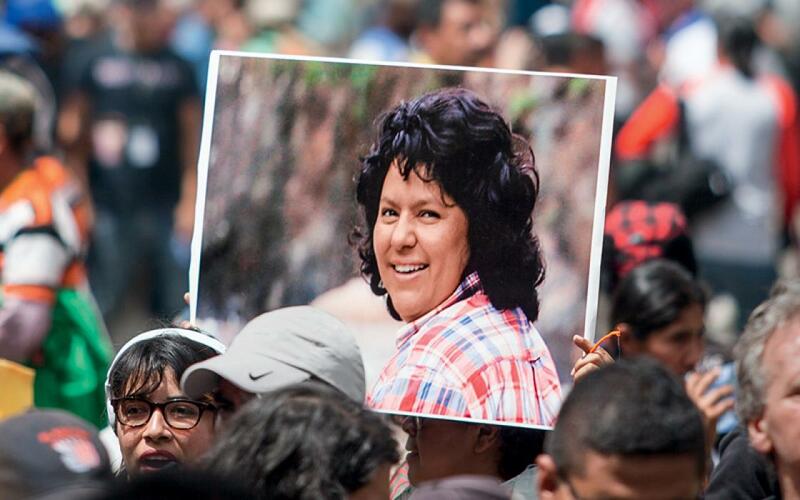 During the demonstrations and vigils marking the first anniversary of her murder, I heard the following chant over and over: “Berta did not die. She became millions!” In the wake of political murder, one task of survivors is to refuse the logic of killing: the fear, hopelessness, and paralysis. To honor the fallen and what they offered, one must not only continue the struggle but fight harder and become one of the millions in whom those like Cáceres live on.